Valerie Friesen, Louellen and Eli’s beautiful daughter, a teacher at the Mennonite school, is engaged to Jeremy Zook, her boyfriend since childhood. Valerie’s parents are concerned the couple has only a platonic relationship that won’t stand the test of time. To complicate matters, Lamar Hornberger, a handsome widower with a mysterious past, comes to town and sweeps Valerie off her feet. For the first time in her life, Valerie feels the “pangs of true love” and wrestles with her decision to marry Jeremy. Nonetheless, she goes through with the wedding. 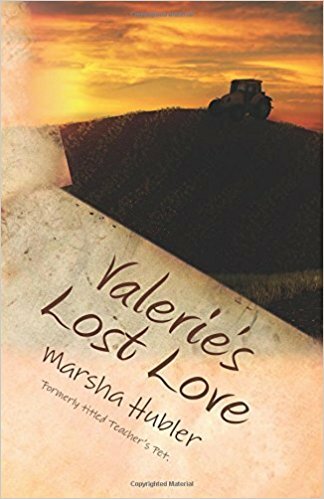 Shortly after, Jeremy is killed in a farm accident, and pregnant Valerie is left with a farm she can’t manage. Tobias Schmidt, a handsome Mennonite man, offers to marry her and take care of her and her child. But what about Lamar, whose secretive past comes to a focal point when the elders of the church confront him? Lamar still has deep feelings for Valerie and she likewise, but can she marry a man whom her church and community will not embrace?